"Triumph In The Skies" actor, Francis Ng, was recently spotted in Singapore with his family to visit his in-laws and register his five-year-old son into a local public school. 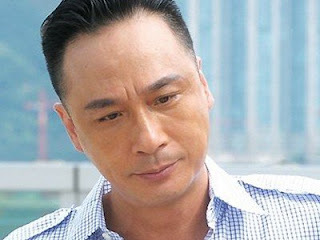 As reported on Nandu, the actor and his Singaporean wife, Fiona Wong, recently took their boy, Feynman, to register at Pei Chun Public School, a decision made by the actor who did not think too highly of Hong Kong's education system. However, unlike most celebrity parents who choose to send their children to international schools, Francis wanted his son to experience studying in a public school instead. Sources claimed that the actor wants his son to learn discipline through the strict environment of Singapore's public schools. Feynman will begin his school year in 2014. However, Francis recently denied allegations that he is punishing Feynman by sending him to study in Singapore, saying, "The media have lost the ability to cover more serious issues, so they make up fabricated news. Will there be any solution to this?"